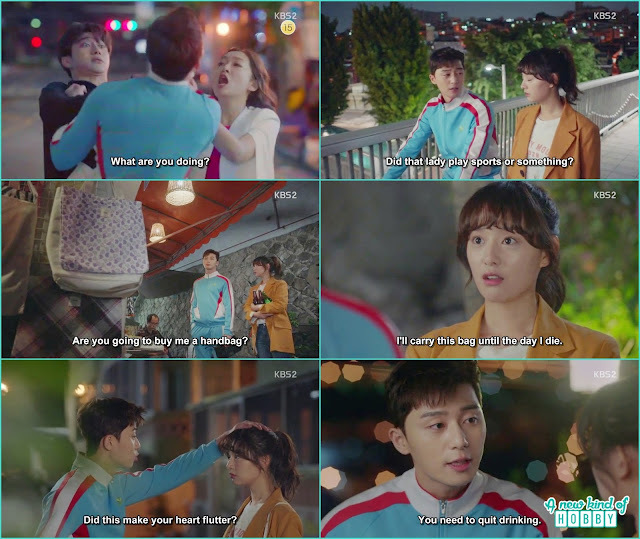 A new drama serial fight for my way starting Park Seo Joon, kim ji Won, Ahn Jae-Hong and Song Ha-Yoon together give us a really great chemistry for friendship ever. 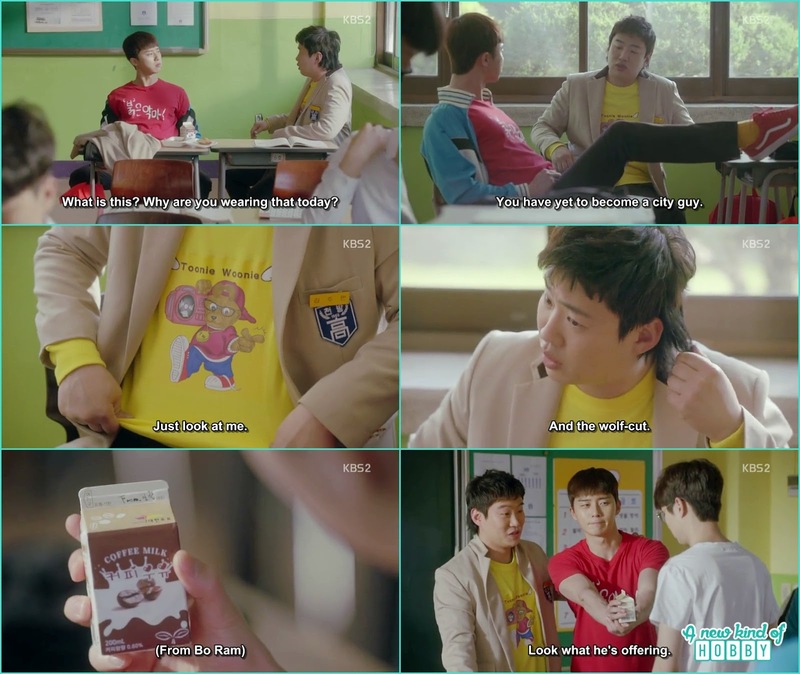 Their friendship remind us of "the gentlemen Dignity". 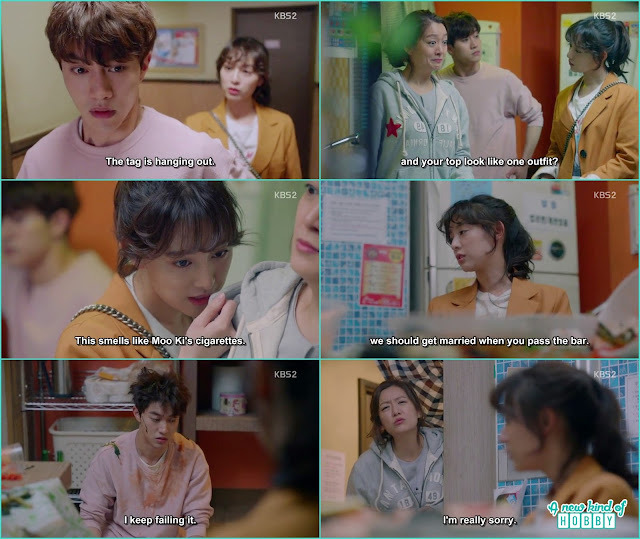 The first episode give us more high expectations for this cheesy story a fresh breath aside from the typical love triangle. The plot of the friendship took place from childhood to high-school and gives an amazing picture how they care and protect for each other. This school scene made us remind many school drama. Dong Man and Jo Man the two friends are more then a fool of the country side. They help each other in a very unique way Jo Man even favor Park Moo Bin to lend his T-shirt to Dong Man as he was participating for Taekwondo Match. 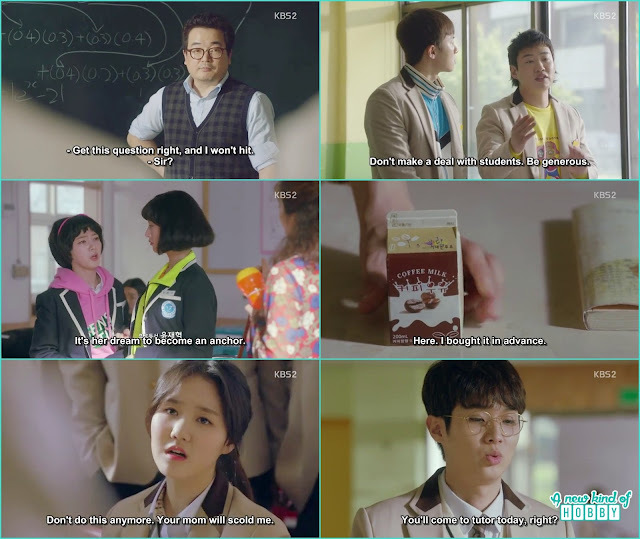 Yet the two friends were to stupid to exchange the favor with the Coffee Milk Moo Bin bought for Bo Ram lolx. 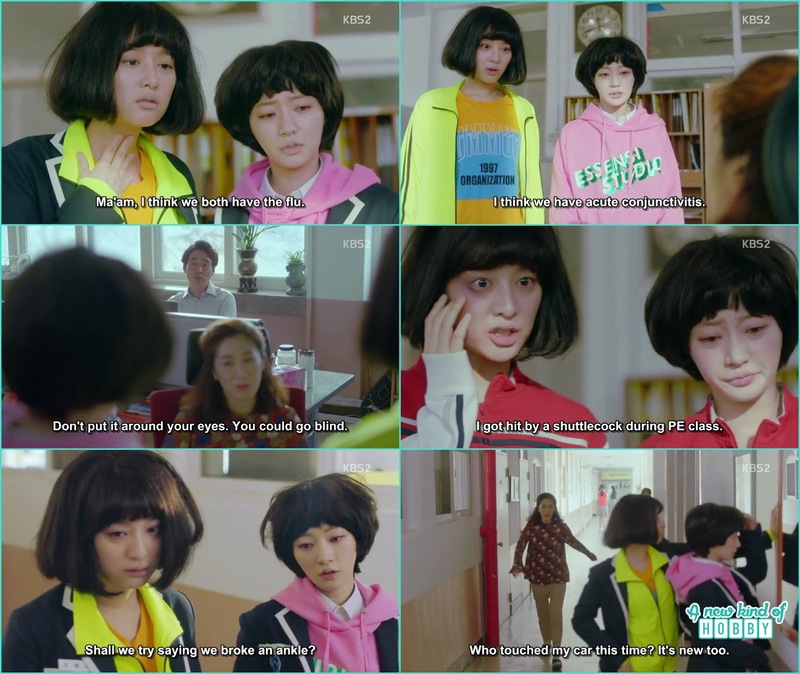 It was very funny when the homeroom teacher confiscate Ae Ra & Seol hee belongings and give them the punishment to stay at school. The two other fools use their intelligent mind to skip school was indeed funny. They made them miserable to the point one can die with sever disease. All the efforts went in vain they just wanted to skip school to watch Dong Man final match. Nothing could be done and they had to run from school. Ae Ra was known as the "Psycho Mic Girl" who was crazy for Dong Man. 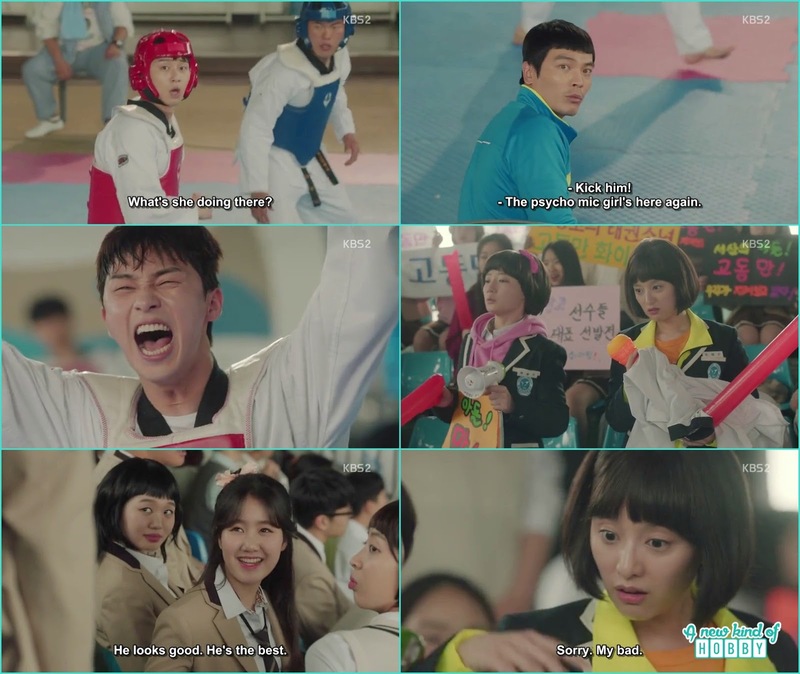 But that fool falls for Bo Ram after winning the match he directy propose her by throwing his uniform infront of the crowd and got scolded by the instructor Jang Ho. Time passes quickly the 4 friends graduate and started their practical life. Every one has a different dream. Ae ra wanted to become an announcer but end up at the shopping mall desk, Dong man wanted to become rich but was working as mites doctor. 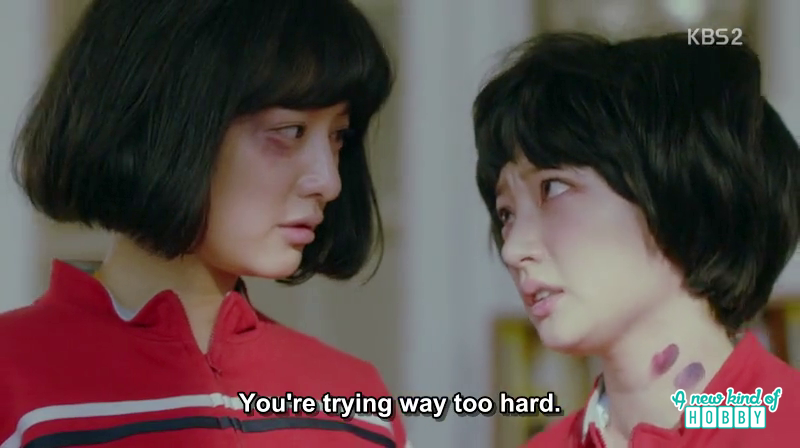 Chan Sook one of Ae Ra friend was getting married and teasing Ae ra who was still single. 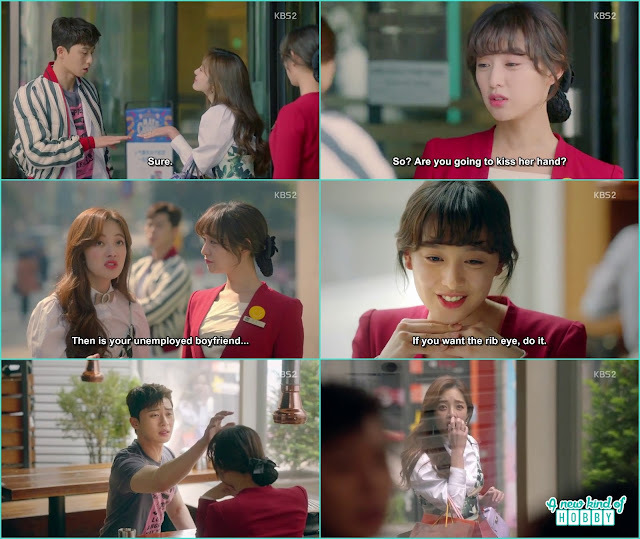 This was the salt on her wounds she ask Dong Man to pat her head was to make jealous Chan Sook. Dong Man who couldn't do anything as Ae Ra always order around and blackmail him to do what she wanted. At first we thought Ae ra was single but later we found she had a boyfriend Moo Ki who was unemployed and she was the one supporting him for years. But that boyfriend stab in her back and cheated on her, we can't believe how he end up getting an old lady pregnant. This was the least to make Ae ra to blow in anger but nothing could be done when she found out his baby and the lady was the owner of the big restaurant. We feel pity for Ae ra as she can't do anything to hide her embarrassment and anger she even bought an expensive bicycle for him but now it was useless. When Dong Man knew the truth he became all furious and was about to hit Moo Ki but the old lady jumped him and cover for Moo Ki. To make Ae Ra Cheer up Dong Man buy her a bag and shoes which were more comfortable to handle. She really become happy how her friend console her.This gives us another example of devoted friendship in kdramas. Not only this Dong Man also pat her head which she wanted earlier that makes her heart flutter for sure. The episode ends here leaving a pile of curiosity what will gonna happen in Ae ra's life. Will Dong Man going to supprt her like this stay tuned to find out more.